One of the utmost adored sports in the society is baseball. Baseball Website templates are one of the best ways to advertise your sports business. The sophisticated and attractive looking WordPress themes designed for baseball teams will surely aid you to set the attitude for your business. These themes are useful, adaptable, and 100% customizable. Amazing features like vibrant colors and stylish backgrounds make these themes the most useful ones. Continue reading to check the Best WordPress Themes on our website. This amazing looking website theme can attract the audience. Its design conveys the energy of this sport through rich red color that perfectly stands out against the dark background. It is loaded with features like highly responsive, Sliced PSD, Crossbrowser Compatibility, Dropdown Menu, Favicon, Web Fonts. This theme is easily accessible from mobile devices and desktop. This Baseball theme is perfect for sports like Football, Baseball, Basketball, Soccer, Hockey, Tennis and clubs. It comes with Sticky Header for more progressive usability, Full-Color customizations, and Sortable/filterable categories. It is 100% responsive and allows you to revise all features of your website. If you wish to have a cool theme for your baseball club then you are at a right place. This Baseball Sports Club Website Template will gain visitors attention as it supports fully combined baseball news and blogs. Because it is responsive, the areas of content are unglued by stitches which make order and ladder on the page. Start promoting your services using this print ready template. If you are looking for a content rich and well-designed website theme for your sports, this responsive website theme template has been specially designed for you. It can be fully editable; it is multilingual ready, gives multiple color options and has fantastic sliders. With the help of this beautifully designed Baseball WP Website Theme, you can get a high-class baseball design for your website as well as blogs. With a host of exciting features and customization options, get the theme for sports like Football, Baseball, Basketball, Soccer and much more. This multipurpose Baseball Equipment HTML Website Template can be easily customized. The CSS responsive theme is practicable for your online presence. With Spotless, Fresh, up to date Design and salient visual composer content, you can design a sports website with endless customization options. Sports Team Theme is the best theme for soccer or football teams of all ages. It contains practice fields like position, weightiness, grade, and anything that you would prefer to display. This theme can be easily customized and is easy to install. It allows you to change the color, text, and font as per your choice. 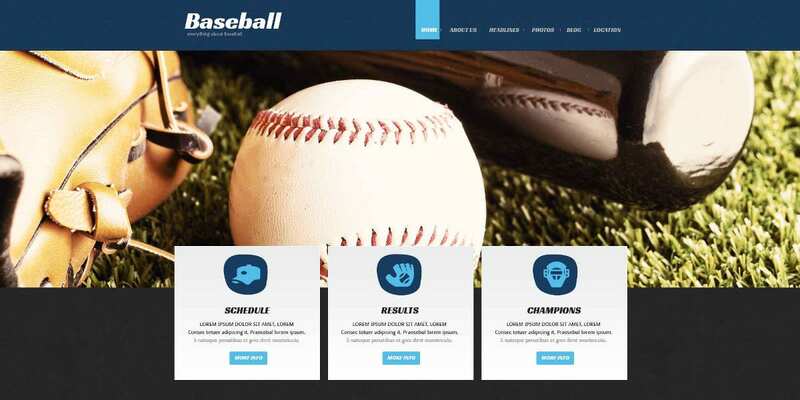 This Baseball Sports Website Template is simply unique and totally customizable; you can add images, upload logo, and change the text and colors as per your requirements. It is compatible with all the browsers and supports any plugins. This number one sports website template is 100% responsive and SEO friendly. 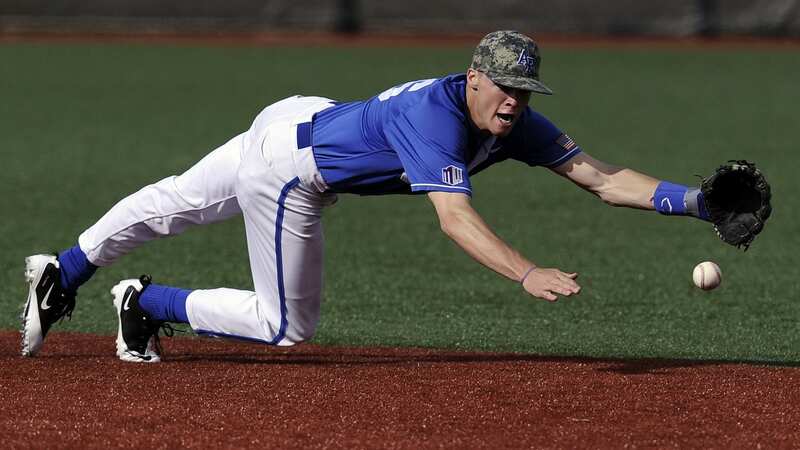 This Baseball Website Template theme is 100% responsive and easily accessible. It is supported by a website slider that helps to present vital information. It can be adjusted to any color and size without compromising on quality. Portfolio Baseball Website Template is an influential and flexible theme. This theme is mainly important for sporting websites. It is loaded with attractive features such as Advanced Theme Options, fully layered, modern Layouts, Tooltips, Dropdown Menu and lots more. It comes with high resolution and offers customizable tabs. Baseball Club, Sporting House WP Website Theme is a perfect place for developing a website for Baseball Club, Sports club, sports news, etc. This template comes with a responsive design and is compatible with any mobile devices. It is SEO friendly and offers smooth scrolling effect. With multi-page template and Admin Panel features, this theme can be easily installed and it has a professional look. All the above-mentioned themes offer you with customizable tabs which come with Inbuilt social media buttons. These themes are the most effective way to get your baseball interest observed in the entire globe. Select one of our baseball New Website Templates and make your products and services visible to your customers.